Southern In Law: Easy DIY Canvas Quote Art + A GIVEAWAY! 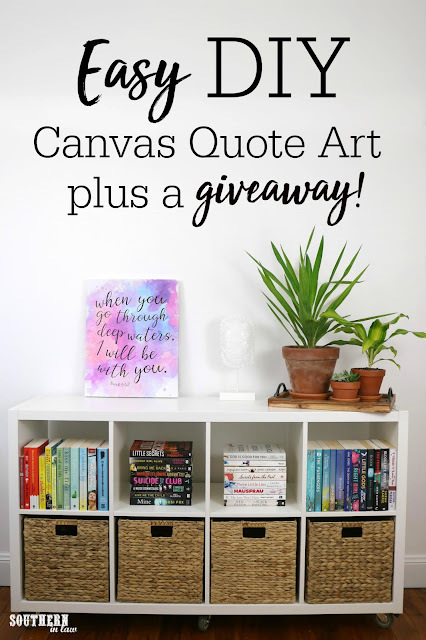 Easy DIY Canvas Quote Art + A GIVEAWAY! This post is sponsored by Canvas Champ. I spend a lot of time in my office, so I'm always on a mission to make it as inviting and functional as possible. The reason I choose to work from home over my actual office, more often than not, is simply because I feel so much more motivated when I'm in a space that I love. That's why I love redecorating and filling my office with the things that make me happy. 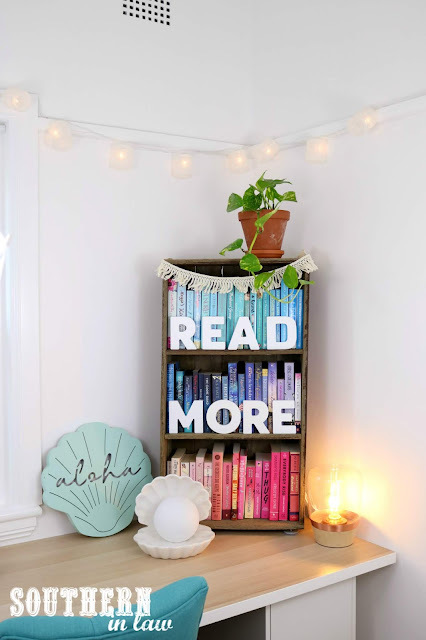 From stacks and stacks of books (my office book collection is currently sitting at 289 colour coordinated books) to cute little trinkets, lots of live plants and quotes to remind myself of throughout the day. But finding that perfect quote print is often hard... sure, I could go to a store and buy a cheesy art print... but do I really need to remind myself to BREATHE or is seeing the world RELAX really going to make me relax? And is reminding myself that I'm beautiful really going to decrease my stress levels when I've got deadlines looming and clients calling me incessantly? Probably not. So let me get on with the show and reveal this giveaway! You see, whilst I'm not too brilliant with a paint brush, I'm pretty handy with PhotoShop - so making my own art pieces just takes a few swipes and clicks! You can use PhotoShop (or a free program like Mailchimp) to create a design you love - or you could purchase a digital file from a professional. 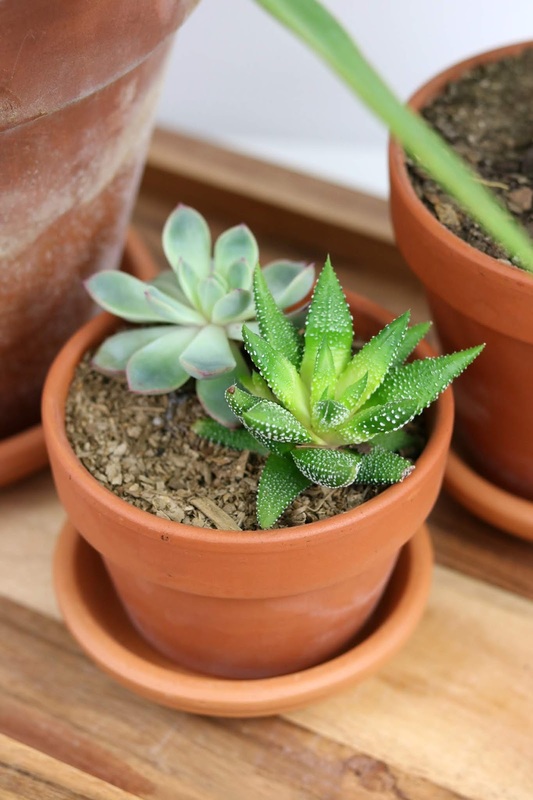 A lot of Etsy sellers offer digital prints which you can print yourself. Just make sure you make or buy a print that's the right size for your canvas. Tip! 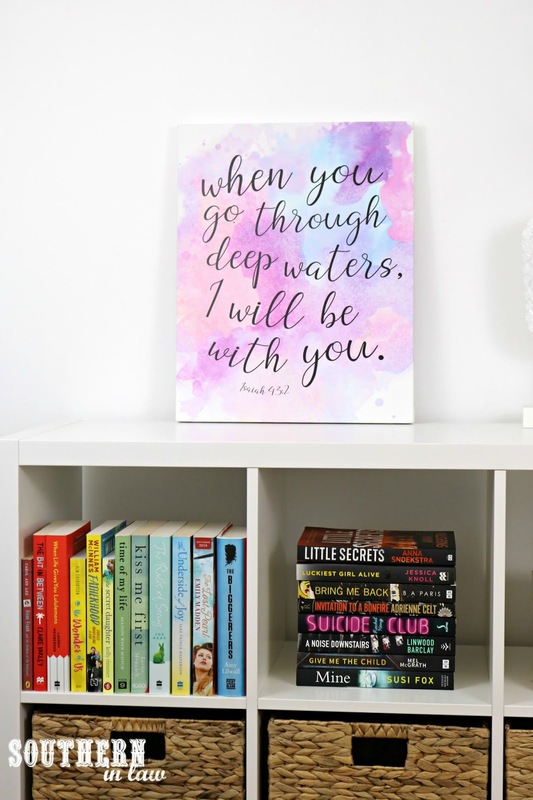 If you want a gallery wall style, Canvas Champ's Wall Display option allows you to print multiple photos/prints across a number of canvases that are designed to fit together - so you don't have to worry about working out what size will work with what. Once you click "Start Order", simply upload your quote print design file or photo and click "Upload an Image". If you want to rotate your canvas, simply click the little icon on the top left of the canvas preview. Canvas Champ allows you to customise your print, choosing the hardware, finish, wrap and more. Finalise your order and wait until it arrives! Once your print is finished, finalise your order, pay and all you have to do is wait til it arrives! I find Canvas Champ are always really quick. We order a print from our anniversary photoshoots each year and always find they arrive much faster than I expected! Like my print? You can have it! If you like my print above, you can have the design files! Here is the watercolour background (without text) and here is the full design file. Win Your Own 12x12" Print! Canvas Champ were kind enough to give me a print to give away to a lucky Southern In Law reader! To enter, simply use the form above! The rest of my office is currently a work in progress as I'm creating my own mermaid inspired theme with lots of teal, purple and pink. Stay tuned for updates on that on our Instagram! 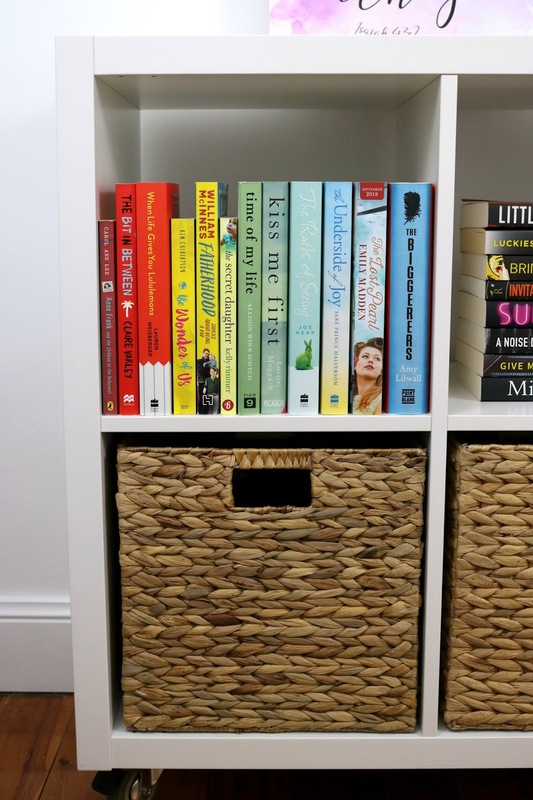 And because I was seriously running out of room for books (my bookshelves were full and I had filled our double depth cupboards with books too! ), I added an IKEA Kallax Shelving unit which we added wheels to so it acts as both a portable photography table (I simply pop up the table top on top of the unit and shoot away for my clients) and can also easily be moved in and out of the room if I need to get it out of the way! The wheels have locks so the unit stays in place and can't be bumped.